Branded hashtags have begun to take over social media (Twitter especially). With the sheer amount of # being produced it’s becoming more and more difficult to stand out. If you want to create ‘#’ that’s memorable, it needs to capture a piece of your brand’s personality and really resonate with your online community. Whether you’re starting a campaign or launching a Twitter chat, creating a hashtag that grabs your followers attention is imperative. Here are four steps that will help you create a winning hashtag to get the engagement you’re looking for. There are plenty of hashtags floating around on social media so there is bound to be some competition. Yours should spark an interest with your audience so that they want to join the conversation. Spend some time researching so that you know what else is being used in your industry. Try to avoid using words or phrases that can become muddled with your competition. 2. # The 3 S’s. Short Sweet & Simple. Remember, your followers only have 140 characters on Twitter. You need to make sure that your hashtag doesn’t stop people from including their own great content. The shorter it is the better and potentially more memorable. I recommend keeping it between 8 and 10 characters. Don’t’ complicate it with too many words. Keep it short, sweet and simple. If you manage to create a # that incorporates your industry phrase or topic then you really do have a winner. With this, you can encourage people to stay on topic and any newcomers immediately know what is being discussed. 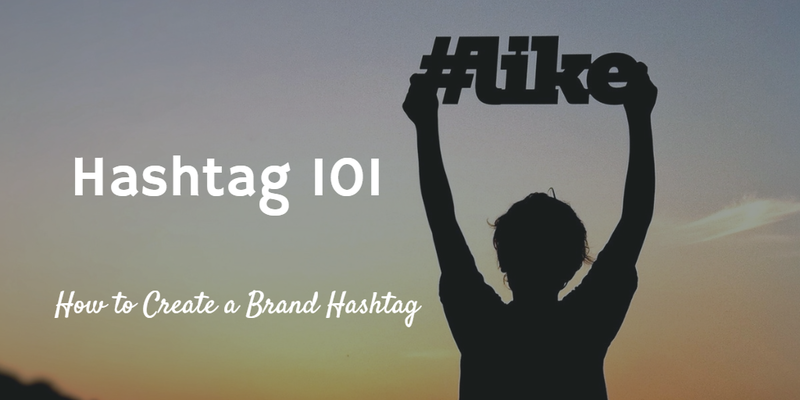 The best way to avoid confusion, when creating a hashtag, is to make sure that it’s readable. If you combine too many words you risk forcing the audience to decipher your tag and they may lose interest. Time is of the essence and you want to get as many of your followers on board as possible. Nike is very good at this, take a look at any of their campaigns, their hashtags are always between 2-3 words. This is the one thing that could literally make or break your hashtag. Clarity is everything. The difference can be seeing a completely different word to the one you imagined. Take the Black Hat eBook, for example, when translated to a hashtag it became the #BlackHateBook. A PR disaster in the making. You have to make sure your hashtag reads well and that your audience immediately understands the conversation that they’re joining. Over to you! Are there any tips that I’ve missed? Mention them in the comments below and let’s continue the conversation! I agree with you that Hashtags are gradually taken over Twitter. It has suddenly become very popular that its difficult for you to see a tweet without it most time. However, using it properly can really do you lots of goods and i love all the tips you shared here. No problem, Theodore! Glad that you found it helpful.